Legal sport betting could be coming to a state near you. In a decision that will likely have a momentous effect on sports gambling in the United States, the U.S. Supreme Court on Monday ruled that the federal ban on sports betting is unconstitutional, opening the door for New Jersey and all other states to legalize the practice. It’s hard to overstate the impact of this ruling. The Supreme Court’s 7-2 decision means states can choose to legalize sports betting in whatever form they see fit. 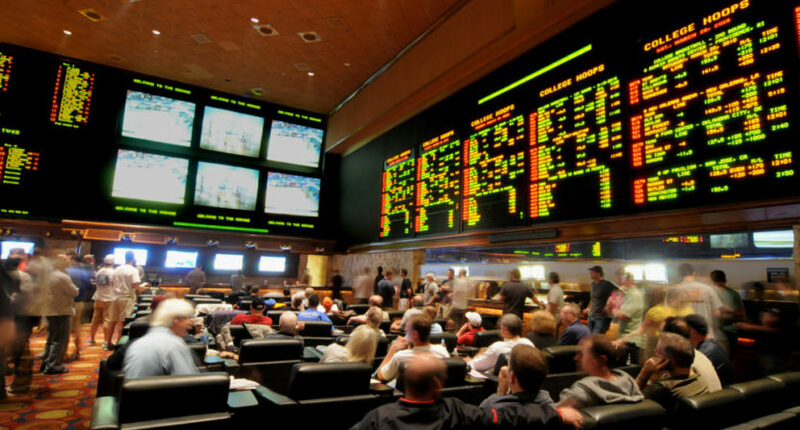 Before long, it will be possible to walk into a casino in any number of states and legally place a bet on a sporting event, the way you can currently in Nevada. The resulting surge in sports gambling will have consequences on the way sports are broadcast, the way they’re written about, the way they’re marketed and most of all the way they’re consumed. Fantasy sports columns could turn into betting columns. Point spreads and over/unders could become regular subjects of discussion on game broadcasts (if it hasn’t already). It’s conceivable that someday, sports venues could even start accepting bets in-house, turning arenas into de facto casinos. But that’s all probably a bit down the road. According to ESPN, New Jersey hopes to have its operation up and running within weeks, potentially in time for the NBA Finals, but other interested states (including the dozen that have already introduced sports-betting legislation) could have to wait much longer to implement legal gambling. The Supreme Court’s ruling Monday follows a lengthy legal battle, one that began nearly a decade ago when New Jersey passed a law enabling sports betting. That legislation was shot down in the courts, but a subsequent law wound through the legal system and landed at the Supreme Court, which heard oral arguments in December. Sports leagues have been somewhat inconsistent in their response to states’ enthusiasm for sports betting. Most leagues initially resisted the idea of legalized sports gambling, but many have softened their stances in recent years, with MLB and the NBA even lobbying in favor of laws such as the one passed in New Jersey.